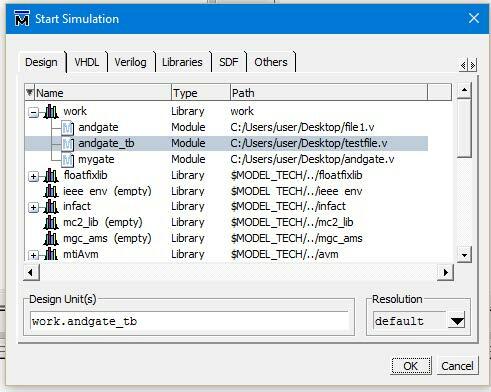 Modelsim is a simulator and is used to simulate HDL languages including Verilog, VHDL etc. 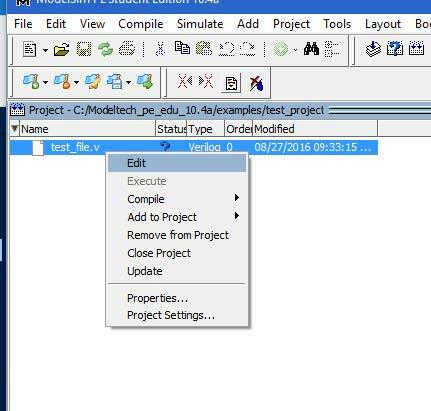 This tutorial will explain on how to use Modelsim and how you can use it to program modules in Verilog. See this article “Introduction to Verilog“ if you don’t know Verilog at all. 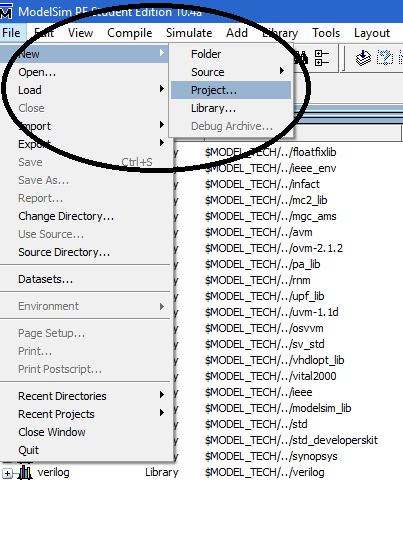 Open Modelsim after installing it. 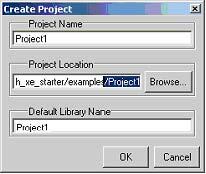 Goto File->New->Project and click Project. After you complete the code, Right click on file name and select compile. 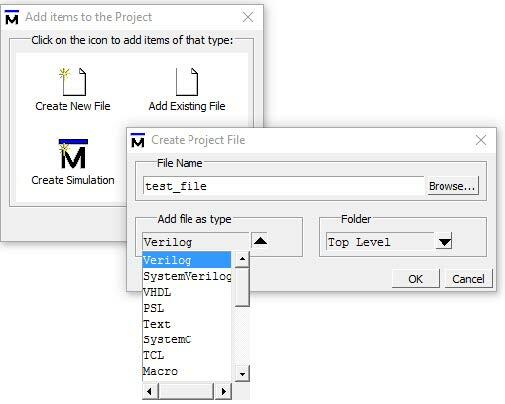 Now create another Verilog file to write the testbench for you code. Use the following code for the test bench of AND gate Verilog file. Compile the testbench file. Make sure you get no error. 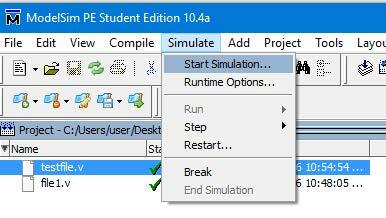 Go to simulate option and select start simulation. 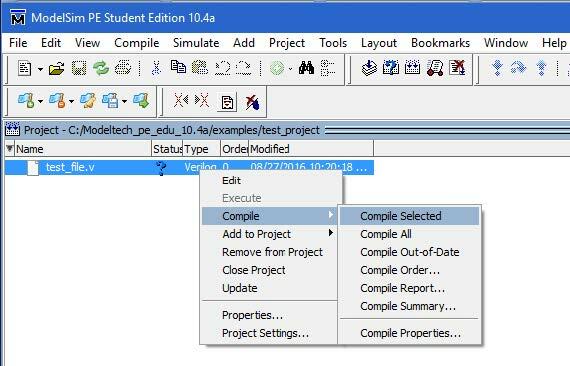 Select test bench file to start the simulation. Following window will pop up. Right click on test bench file and select “Add wave”. Select “Run”. Make sure you get green coloured waveforms and check your logic as well. 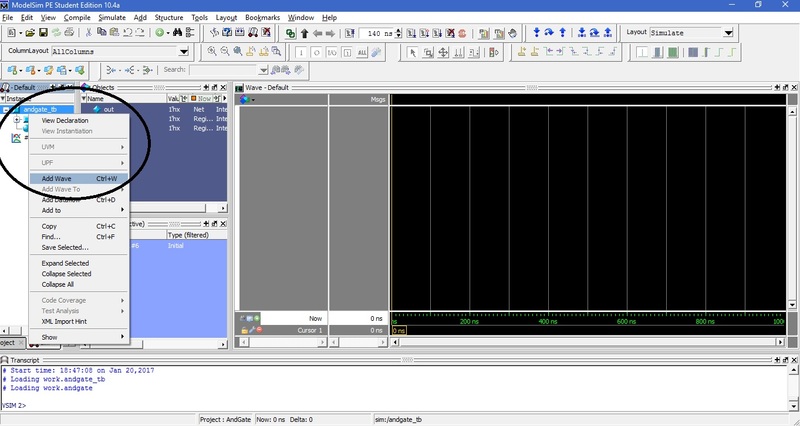 That’s it you have successfully simulated your first Verilog code using Modelsim.